I have learned some new things this year. Blogging is one of them. To say that I’ve learned to blog is, perhaps, not quite true. I’ve created a blog and even have have several posts, some even with comments. I’ve learned that SEO (search engine optimization) is a good thing. I’m not sure how to use it but I know what it is. Another thing I’ve learned is that blogging is tough. Or at least can be. I’ve struggled with how often to post and the content of what my blog is about. I poured over the type of blog I would create and the template for my blog. I’ve stayed up late and have written early in the morning to make sure that I had a post each week. 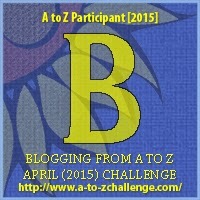 I’m not sure I have it under control just yet, which is why I’ve decided to enter this A-to-Z Blog Challenge. It will be fun to force myself to create six blogs a week with the only guideline for each blog is a letter of the alphabet. It will take perseverance to complete this challenge and I am up for it. My readers and my blog are worth it. Thanks for joining me. Finding time and topics to blog about can certainly be a challenge. Good luck on the A to Z challenge! You’re off to a good start! Thanks for the encouragement. I’m beginning to get suggestions from well meaning friends. We’ll see how things work. Good luck with the challenge! Six posts a week is definitely going to be tough, but we can do it! That is the challenge, most definitely. It takes time. I struggled with blogging my first year; all of the issues that you mentioned plus losing my first follower (I took it very personally), the agony of having a long post disappear without a trace before I was able to publish it, the creepy guy who left a weird and uncomfortable comment. Eventually I just started writing to suit myself, whenever and however I pleased. I ignored the occasional troll. (Honestly, in 4 years there have only been 3.) I followed blogs that I found interesting and met some really wonderful people. Thanks for the good thoughts. I’m glad I am not alone in this. Nope not me – SEO (shudders). It is definitely a learning curve. I like the challenges and the classes. I always learn something. There is a semi-local conference all about blogging that I am hoping to attend also. Always learning. I am impressed with the blogging. I found a few books on Amazon called “writing prompts”-there are different catergories, re: horror is the only one I can think of. I did download one ”1001 writing prompts”. May help if you get stuck? Looking forwd to reading blog! Thanks, Michele. I really appreciate it.